I am sure the word has spread around campus already, exams are just around the corner. ‘Tis the season to toss your amassed library of class notes in frustration, to scream at your computer screen like a madman, and soak your pillow with tears of desperation. However, you might be surprised to find that there are quite a number of exam grinches at BU that aren’t keen on the spirit of this season. They would rather relax and feel secure in the knowledge that sufficient preparation will carry them through the end of semester examinations. To this end, Long Night Against Procrastination was held at BU’s John E. Robbins Library on Wednesday the 22nd of November. The event was designed to combat study procrastination, and encourage students to begin their exam preparation. It all started at 7:00PM and ran until 3:00AM the following morning. Having said this, many showing up at exactly 7:00PM found it difficult to find a place to study, since a significant portion of students had arrived earlier than this to maximize study time. 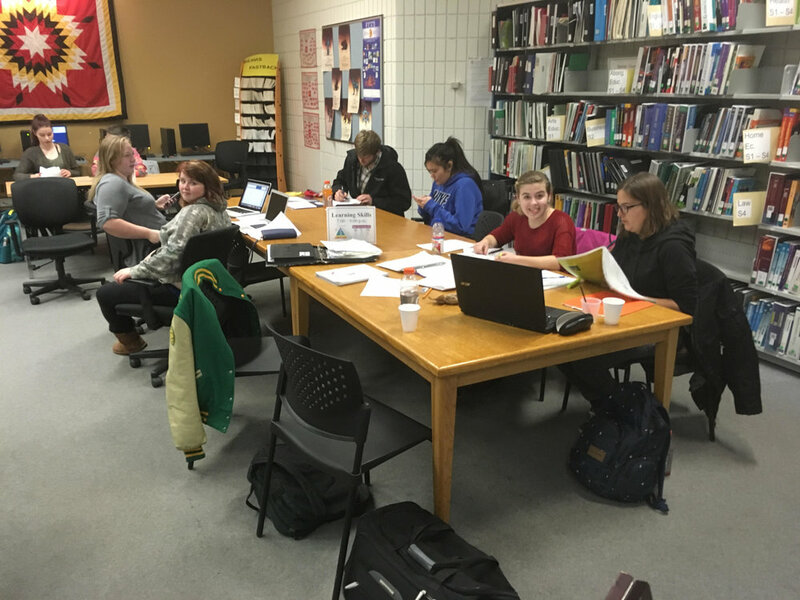 For those with specific questions in mind and a need for help to get them answered, math, writing, and learning skills help sessions were offered in the curriculum area. If you were a little late for your scheduled session you were likely to get bumped back as there were many students looking for help to gain that extra edge on their assignments and exams. If you were not one of the many that were able to attend, do not fret too much about it. However, it is wise to heed the event’s warning: do not procrastinate. Having made it this far in the semester, one could be led to believe, quite incorrectly, that the home stretch is more of the same. This falsehood might be an alluring belief to grasp hold of when the importance to study is weighed against cracking open a cold one with the boys, don’t fall for this however. It is a will o’wisp that will lead you closer and closer to exam time until you are the one sitting in exams red eyed and unshaven, reeking of the ten energy drinks you downed to carry you through the previous night’s cram session.